Shela Jannice Donoho obituary. Carnes Funeral Home. 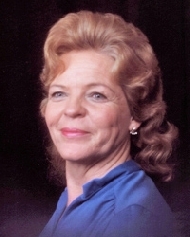 Sheila Jannice Donoho, 78, was born in Forest, Texas on July 2, 1940. She passed away Thursday, July 5, 2018, in Santa Fe, TX surrounded by her loved ones. Sheila graduated from Dickinson High School and retired as a Process Operator from Union Carbide. She also served as a member of the Ladies Auxiliary for Dickinson’s VFW Post 6378. Her hobbies included painting, ceramics, sewing, bowling, and cooking. She most enjoyed being a Memaw to her grandchildren and great-grandchildren. She is preceded in death by parents, Emmitt Thomas and Dorothy Thomas Cox; husband, Thomas Donoho; sister, Linda Pimentel, and step-son, Michael Donoho. Sheila is survived by her loving daughters Lisa Nunez (Larry), Diana Salas (Carlos); step-children, Kevin Donoho (Retta), Elaine Salles (Les), Melanie Collins (Johnny); sisters, Tanis Fernandez (Jesse), Vicki Chvatal; brother, Michael Thomas (Penny); grandchildren Laura and Eric Nunez, Amanda and Vanessa Salas, Theresa Willis (Austin), Ian Rawlins, Brittany Pinkston (John), Lacy Nash (Clint), and Heather Lacina; numerous nieces and nephews and 5 great-grandchildren whom she adored. Sheila's family will receive visitors from 10:30am-12:00pm on Wednesday, July 11, 2018, in the Chapel of Carnes Funeral Home in Texas City. A Celebration of Life Memorial Service will take place from 12:00-1:00 pm.